To celebrate the opening of our new coffee shop concept Burr & Co. across a collection of De Vere hotels, we take a look at our four favourite coffee trends to try this autumn. Forget about adding a touch of spiced pumpkin to your morning latte, because this autumn it's all about turmeric. Blend this Asian spice with hot milk and an espresso shot for a flavoursome caffeine fix that's wonderfully warming on a cold day. Other than its seasonal taste, turmeric also has several health-boosting properties including being a natural anti-oxidant and anti-inflammatory. Ideal for keeping your mind and body healthy throughout the winter months. The weather may have cooled down, but the popularity of Nitro Cold Brew coffee doesn't seem to be anytime soon. As there is no heat involved in making a cold brew (hence the name), it has a sweeter, less acidic taste to it than normal coffee, whilst the nitrogen adds a lovely creamy and fluffy texture. Therefore it's a great healthy alternative to the usual sugar-filled seasonal favourites found on coffee shop menus. Gingerbread cream lattes we're looking at you. You can now have your cup and eat it too with this latest caffeine trend. Coffee served in a special chocolate coated wafer cone that really does taste as good as it looks. But be warned you only have around 10 minutes to drink it! Perhaps not one for the journey home, but ideal as a delicious warm treat to beat those winter blues. A concept that’s replacing coffee altogether - it looks like the trend of tea lattes is here to stay. Summer saw a big focus on using Matcha green tea, with its refreshing flavour and energy boosting properties. But this autumn it’s all about Chai tea lattes instead. Made from a mix of spices, Chai tea is a little bit like Christmas in a cup and is ideal as a seasonal low caffeine alternative to your regular coffee. 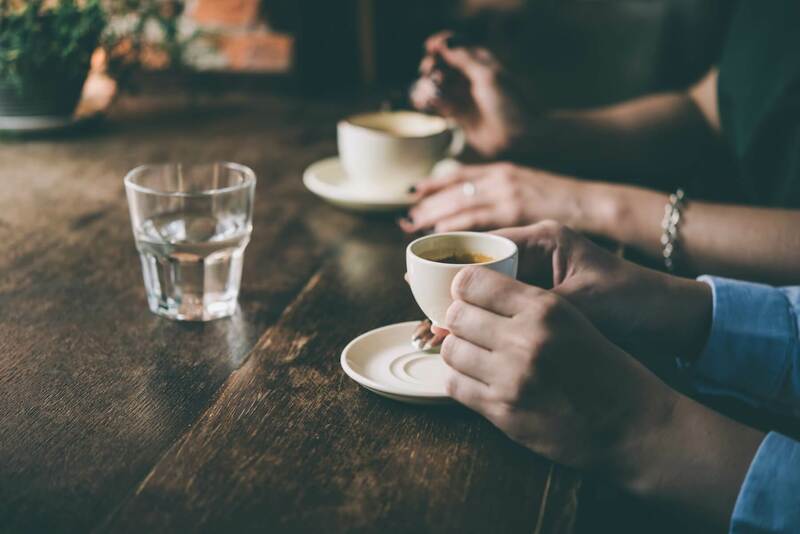 More about Burr & Co.
Burr & Co. is our new coffee shop concept, found at a collection of De Vere hotels across the UK, where you can enjoy high-quality ethically-sourced coffee, tea, juices and soft drinks, plus artisan cakes and pastries to take away. Find out more here.